The fine presentation is a combination of careful design and top quality materials. Great looks matched with the best in precision machining featuring quick precise adjustment and the ultimate in hook holding power. Performance features include a extremely smooth full rotation of the steel jaws, hardened cam, rotational lock, rotational drag adjustment and hooks ranging from #28 to #7/0 are accommodated. Solid heavy weight pedestal base with steel capped tool portholes and optional alternative C-Clamp finished with brass fittings. The Excelsior is a top of the line high quality fly tying vise that will service the discerning fly tyer for a lifetime. Rotary fly tying vise of exceptional precision machined stainless steel, aluminium and aluminum construction. This is a high-quality vise to meet the demands of the discerning fly tier. Handles hooks from 28 to 4/0 in its cam, hardened-steel jaws. Full rotary action with adjustable rotary tension. Fully adjustable bobbin cradle. Flat pedestal & C-clamp bases. Solid multipurpose vise. Strong quick-set lever action locks hooks in a soild brass head with steel jaws. 360 degree revolving head with brass spin-lock. Heavy-duty cast iron table edge c-clamp. The Challenger Vise incorporates a specifically designed jaw that allows access to the rear of the hook, where wrapping and tying on fly materials can be a problem when using a fixed vise. Jaws can be rotated or fixed at any angle without releasing the hook. Heavy-duty cast iron c-clamp attaches to table edge. The Super AA Vise is a popular general-purpose vise and features precision stainless steel tapered jaws that are completely adjustable. Full 360° rotating head allows comfortable working angles. This is an easy to operate precision vise. Table edge c-clamp. 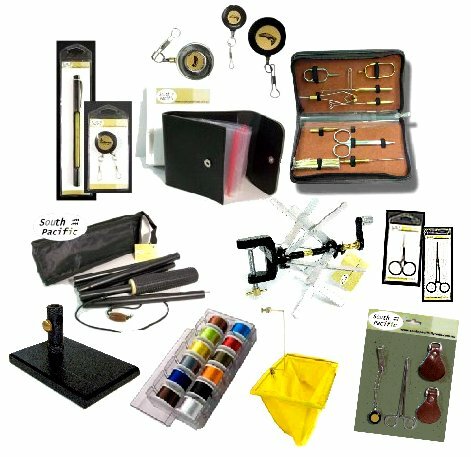 These kits have all you need to get yourself into fly tying. There are 3 vise options in the range. All Vises and tools are constructed of high quality brass/steel. Everything is housed in a solid felt-lined lacquered wooden box. 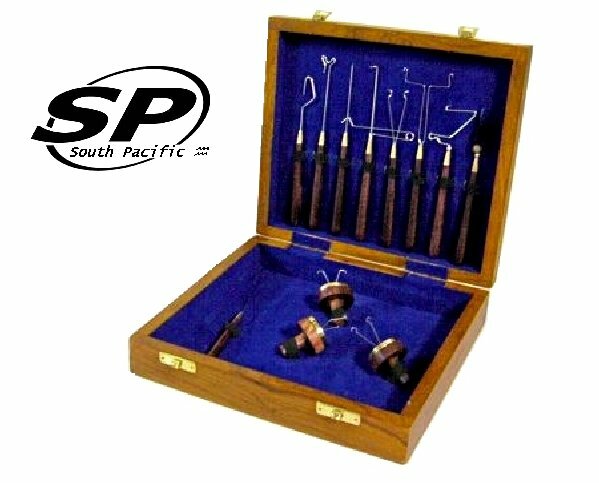 12 Tools with stainless steel fittings complimented with brass caps that are a real pleasure to use housed in a solid felt-lined lacquered wooden box. The AA carded kits are great introduction kits to fly tying. 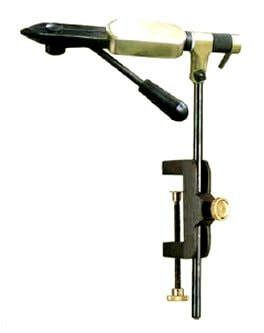 The AA vise and 11 tools are constructed of high quality brass/steel. Brass fly tying tools - we produce a large range of solid brass and stainless steel fittings. Here's just some of the range. 12 Tools with stainless steel fittings complimented with brass caps that are a real pleasure to use. Line winder get lines on & off reels fast and efficiently without tangles.